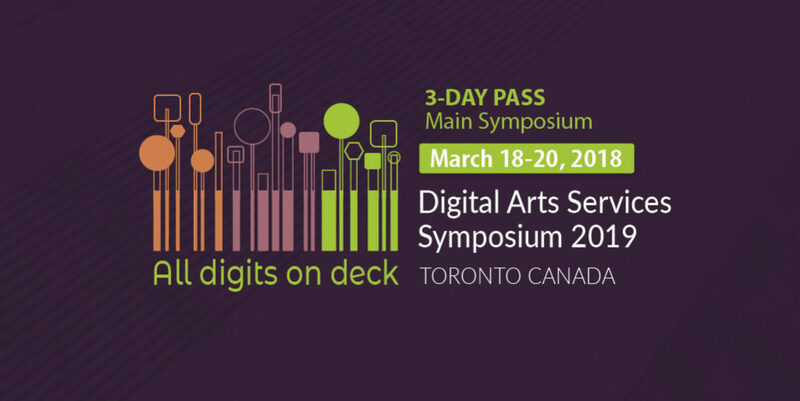 3-Day Main Symposium Passes to the second Digital Arts Services Symposium 2019 are now on sale! Delegates with 3-Day Symposium Passes are eligible to attend all main Symposium activities from March 18-20, 2019 for one price. This includes all plenary and break-out sessions during the day at Toronto Reference Library’s Appel Salon.